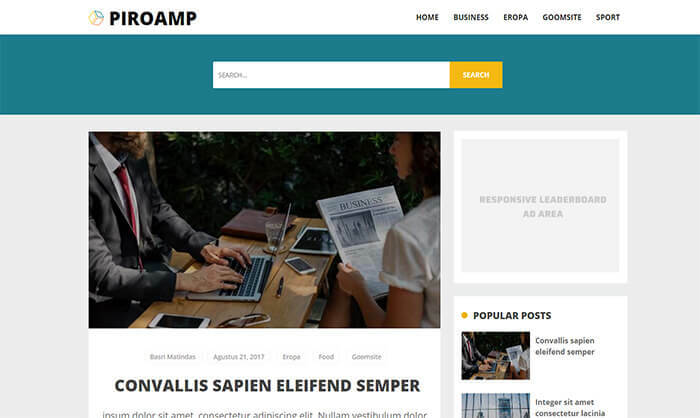 Piroamp Blogger Template comes with Mobile Pages (AMP) for blogger platform. It’s designed with a Personal Blog view, just seconds to load and run it all. It will help you to improve the overall user experience of your website. You may know that AMP blogger templates are faster than others. So by using this template, you get a lot of speed advantage on your blog. This template is configured and upgraded to super SEO friendly, Valid AMP HTML and also mobile-friendly that will make your website super fast loading. So your all readers can access your website from different places around the world. It has a unique style design that will turn your ordinary looking blog into professional one. This template is perfect for your advertisements with a super clean look makes this template has a fairly fast loading speed. You can put ads on different ad spots and it will help you to increase the revenue of your website as well as make it faster. So it will not only make your blog faster but also improve the overall user experience of your site. So you can get more advantages.